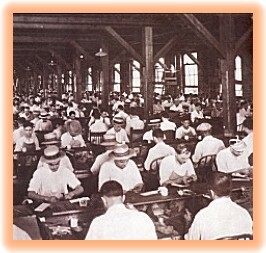 CigarExtras started its humble beginnings in Ybor City, Florida, commonly referred to as "Cigar City." The nickname is a reference to the early Cuban settlers who made a living in the area selling their famous hand-rolled cigars, which have now been an integral part of Ybor City for over a century. We pride ourselves on keeping the "Cigar City" spirit alive and strive to stay close to our roots, both in proximity and mentality. At CigarExtras, we are committed to being the best that we can be. We are devoted to providing our customers with the best service and experience possible. We also take pride in offering our customers the largest variety of the best quality products at the most competitive prices. CigarExtras truly is the place to go for all of your cigar related needs. Our products are perfect for the seasoned cigar aficionado and the newly discovered cigar lover alike. They also make perfect gifts for bachelor parties, Father's Day and birthdays for the special man in your life. We carry many products that are perfect for businesses as well. We are always adding new and exciting products to delight our loyal customers, so please bookmark us and return frequently to see what's new at CigarExtras.com.